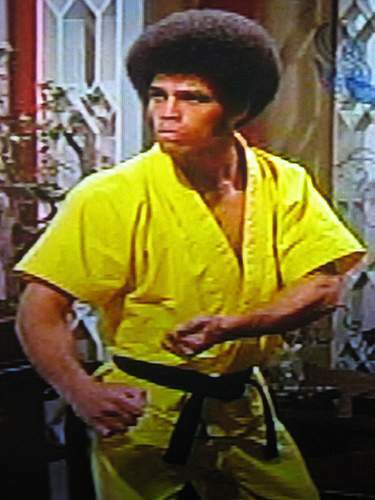 Actor and karate expert Jim Kelly, who starred with Bruce Lee in Enter the Dragon, has died at the age of 67. Jim Kelly became famed for his cool one-liners and fight scenes as the charismatic Williams in the 1973 martial arts classic. Marilyn Dishman, Jim Kelly’s ex-wife, said he died on Saturday of cancer at his home in California. Enter the Dragon is considered to be one of the most popular kung fu films of all time, it was bruce Lee’s first film in the English language and was released days after his death at the age of 32. In the 1980s, Jim Kelly re-trained as a professional tennis coach. Jim Kelly was born in Kentucky and began studying martial arts there in 1964 before moving to California. By the end of the decade, Jim Kelly was teaching at his own karate school before sought out by Enter the Dragon producer Fred Weintraub, who had heard about his karate skills.